Aloevera moisturizing lotion is beneficial for all skin types. Aloevera helps to create collagen which prevents wrinkles & ageing. 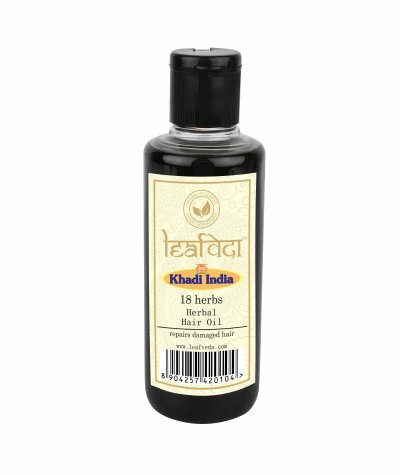 ..
18 Herbs Hair Oil It is applied for relaxation, helps to cool down scalp, anti-dandruff, gives smooth and manageable hair and anti-depressant and gives smooth and manageable hairs. 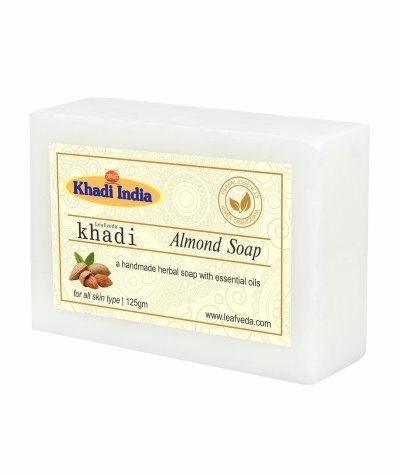 ..
Herbal Almond Soap combines 100% natural ingredients to restore the body’s water content. 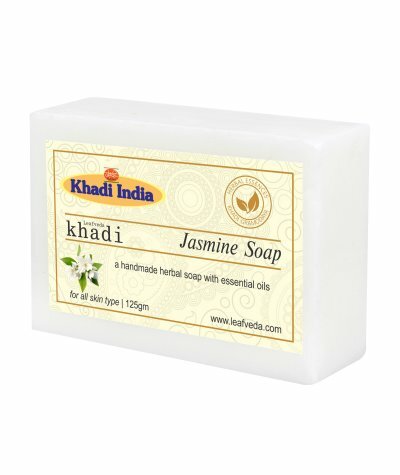 This no greasy soap leaves skin feeling soft, supple and toned. 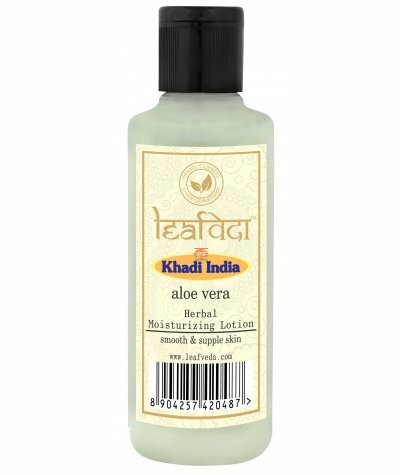 ..
Aloevera Face Wash not only cleanses your skin effectively but also moisturizes it leaving it soft & smooth. 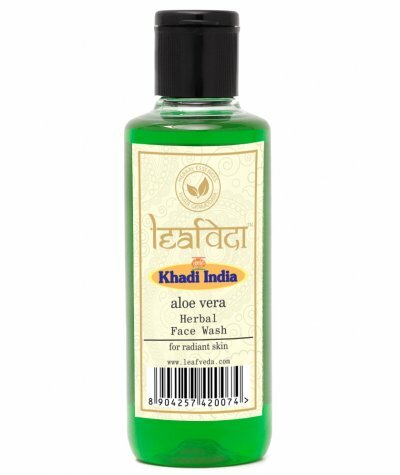 The wonderful ingredients pamper your skin even while removing all the dead skin cells and ..
Leafveda Aloe vera Gel is best suitable for Dry Skin. 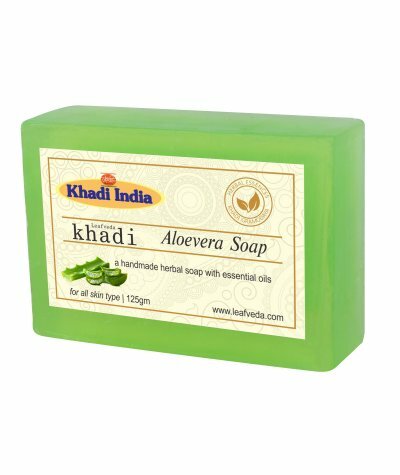 It tightens pores, fades Wrinkles, Repairs Skin, keeps Skin Moisturized, Restores Skin Nutrients, Cooling & Soothing, Heals Minor Cuts & Burn, fad..
Herbal Aloevera Soap maintains moisture balance. 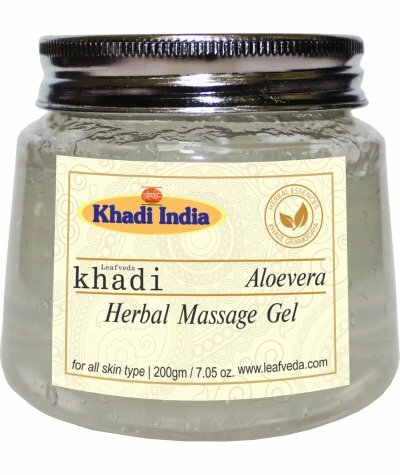 Aloe Vera is a well known moisturizer and revitalize of skin. 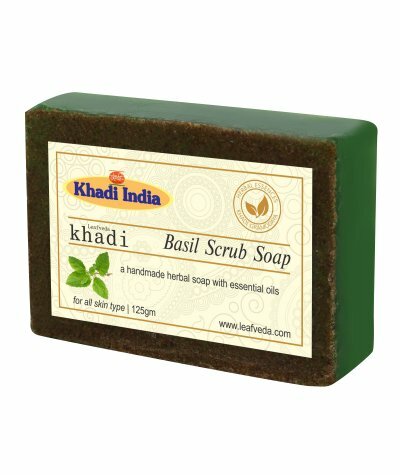 Regular use of this Khadi soap is a natural way of rejuvenating and keeping your skin sof..
Apricot & Walnut Scrub is a boon for dull, tired & lifeless skin. 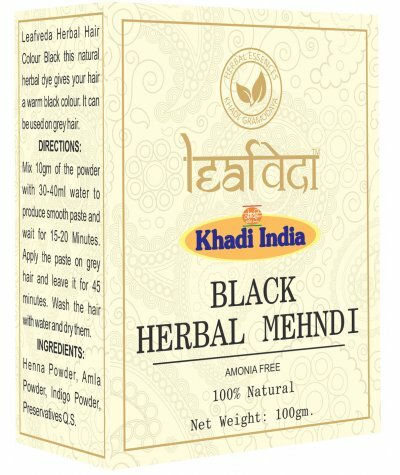 This exclusive blend provides perfect exfoliation to remove dried & dead cells and uncover fresh, young & radiant skin underneath. 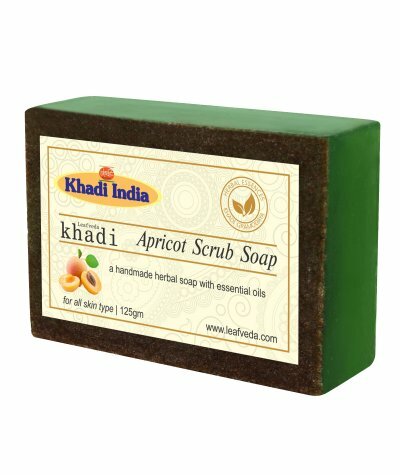 ..
Apricot Scrub Soap carefully cleanses your skin and envelops you in the lush apricot aroma. 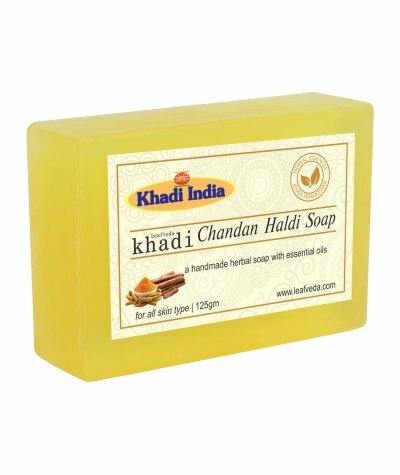 To take care of the velvety softness of your skin day after day, we’ve enriched the soap with the valuable s..
Herbal Chandan Haldi Soap bathing bar protects from bacteria. It gives freshness & coolness to the body .. 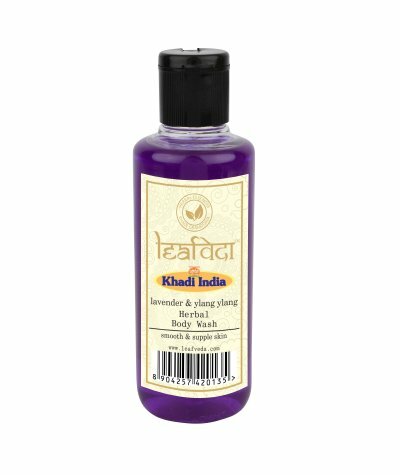 Lavender & Ylang Ylang Body Wash with the refreshing fragrance of lavender & extracts of Ylang Ylang flower. 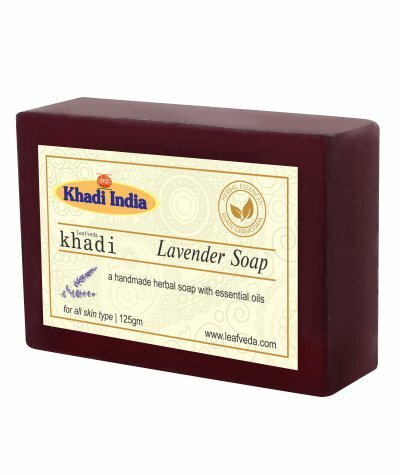 It helps in relaxing tighten muscles, lessen aches, reducing inflammation, purify & heal th..
Herbal Pure Lavender Soap cleanses the skin and body dirt while exfoliating dead cells from the body and give a soft & smooth feeling. 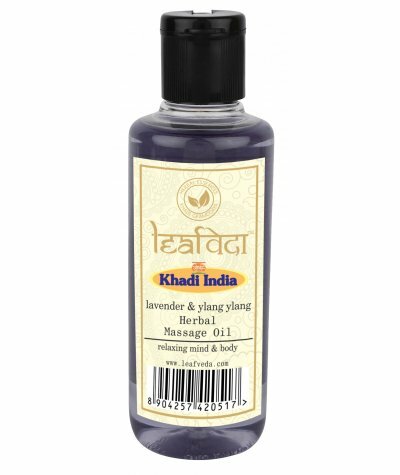 The fragrance of Lavender helps to relax and is especially benefi..